This is the perfect book for any 4th grader and up looking to do a school project on the Reformer. 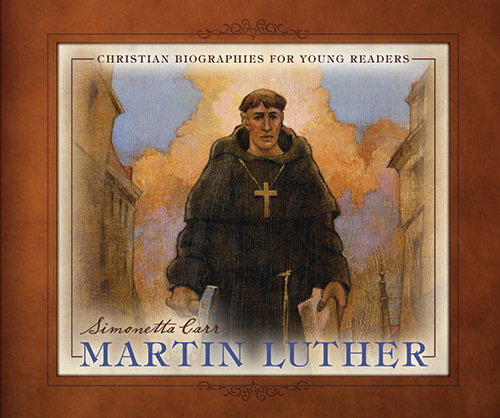 Like the other entries in Simonetta Carr's series of "Christian biographies for young readers" Martin Luther is a gorgeous book. It is a beautifully bound, with thick pages and includes 12 full-page paintings among its 44 illustrations. It is also well-researched, and wonderfully detailed. I've read more than a dozen works on Luther, and was pleasantly surprised to be learning new things from a children's book. 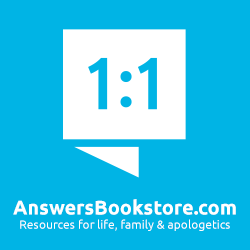 For example, I don't think I'd ever before heard that Martin had a special relationship with his young brother Jacob, nor that Jacob might have been with him when Luther was "kidnapped" on his way home from the Diet of Worms. And it was interesting to learn that Luther's famous "brand" - the Luther rose – was designed for him at the request of his protector, John Frederick of Saxony. What makes this book special is how much Carr has managed to pack in its 60 pages. But that also means this while this is a picture book, it is probably too much for children in Grades 1 or 2. I think the best bet is Grade 4 and up. Overall, Carr gives a generous assessment of Luther, focussing on this strengths. But she is willing to at least note his faults, the biggest of which is what he wrote about the Jews in his later years. He suggested Jews' books and money be taken, their synagogues burned, they be prevented from travel, and their rabbis killed if they wouldn't stop teaching their religion. Carr makes brief mention of it, noting that he "wrote against the Jews" and there is no "excuse for writing what he did." I'd recommend this as a wonderful educational resource, and by that I mean that while it makes learning easy, this isn't the type of frothy, brightly-colored picture book that young children will pick up simply for entertainment. It will need a teacher's or parent's prompt. But any child who reads it will have an excellent overview and understanding of the man. 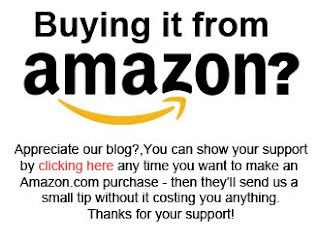 You can pick up a copy at Amazon.com here and Amazon.ca here. And for other Simonetta Carr biographies, click on the "Simonetta Carr" label below.